Do you compete in dog sports? Do you live for Agility? Herding? Do you need videos of your amazing runs and accomplishments? Do you have TONS of video footage laying around? Let Wooftastic Videos Showcase your dogs talents! We’ll shoot your runs, edit down your video, and cap it all with a score chosen specifically to match your run. Our extensive licensed music library pairs with our professional opening titles and end credits, touches that will impress your audiences and set Wooftastic apart from the rest of the herd. We know your dogs are special and so your video documentation should be, too. 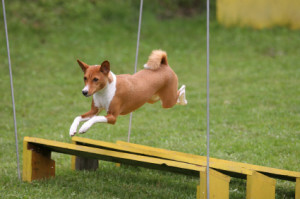 Whether it’s agility or herding we offer a package to suit your needs. From a two day, single dog recording to a four day, multi dog extravaganza, we’ll give you video records of your best moments on the field. Why should you worry about filming your runs when we can do it for you? Already have lots of video you’d like to share with your friends and family? Just give us your digital files and we’ll create something you’ll be proud to show off at the next family gathering. Wooftastic Videos: Because a Great Dog Deserves a Great Video! Copyright © 2019 WoofTastic Videos. All Rights Reserved.